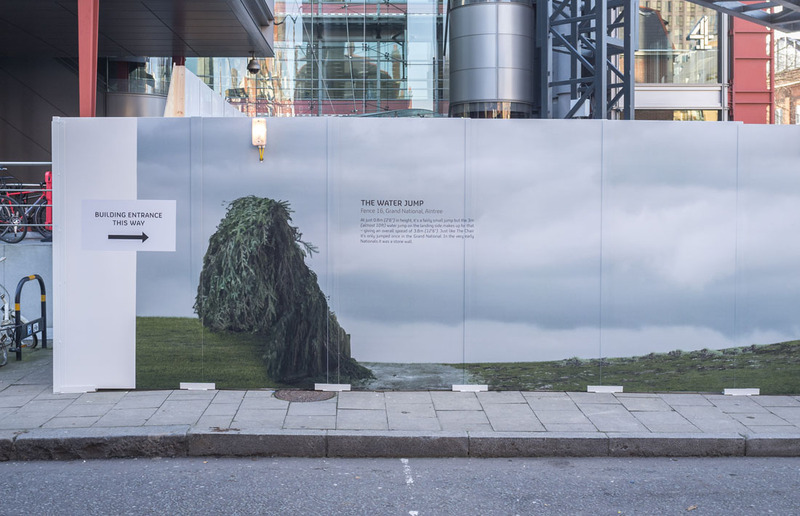 As Reuse-A-Wall™ is a trading division of Blok N Mesh UK Limited, we are also able to offer an extensive range of external site hoardings. Please visit our Blok N Mesh UK Limited website for more information. 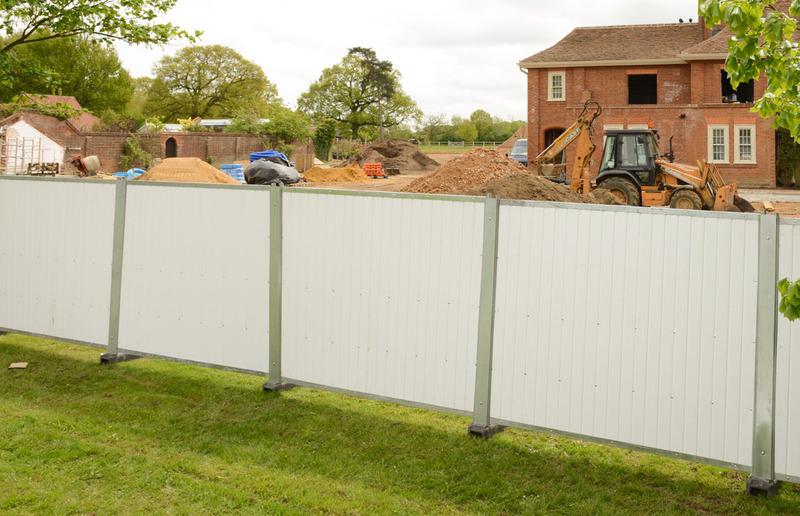 Blockade™ Hoarding provides an attractive and cost-effective temporary hoarding. Unlike timber, the system components can all be reused. The Blockade™ UPVC Panel is flat-faced with UPVC infill made from 100% recycled plastic. 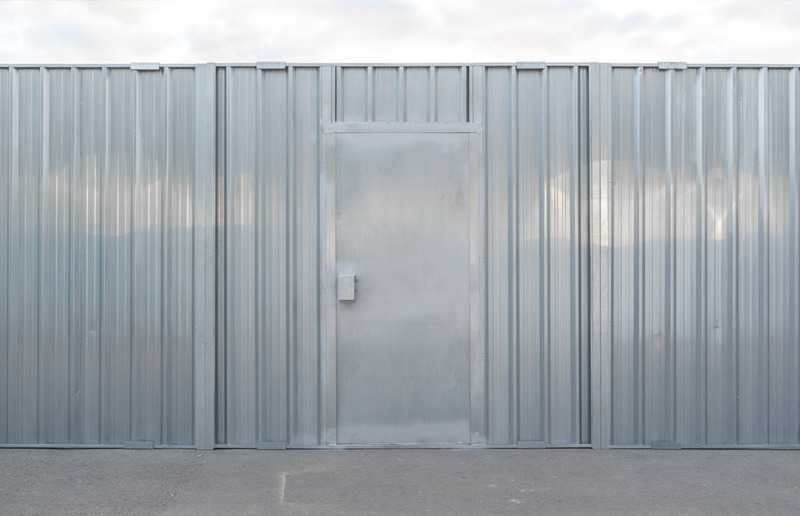 Size: 2m x 2.15m with galvanised steel frame. Go-Hoard™ panels provide a durable and sustainable option of external hoarding. They are made from 100% recycled PVC and are 100% recyclable. Go-Hoard™ can be supplied in corporate colours to drive corporate image and are fire rated to BS476 Parts 6 & 7, with class 0 certification. 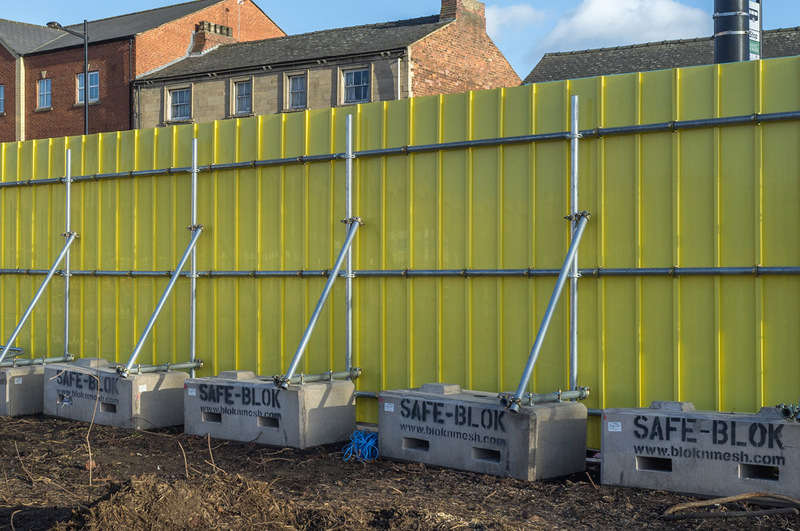 Network Rail approved Secure Hoard™ has been designed for quick and easy installation by using Blok N Mesh’s patent pending H Section arrangement. Flat face panels allow the use of graphics and advertising on the hoarding panels. Blok N Mesh are able to provide you site-specific wind calculations and crowd calculations for your site, which will indicate whether you require the back-stay arrangement every 1.2 meters or 2.4 metres. 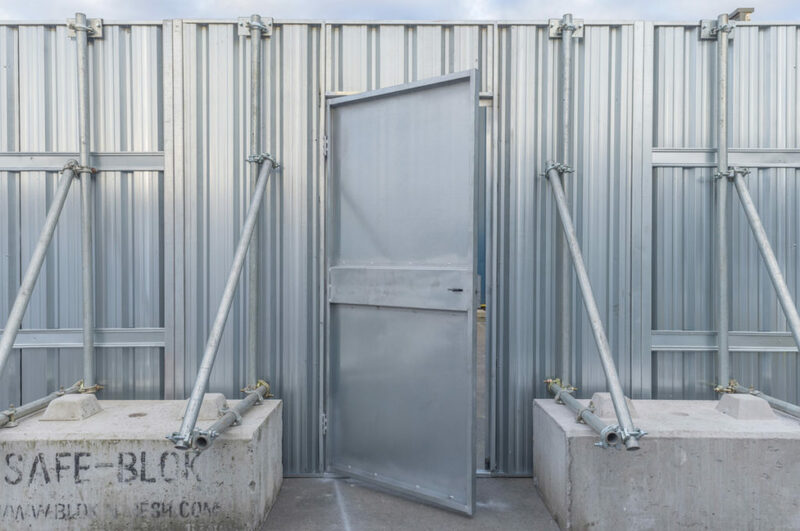 Fortress™ is our premier steel hoarding system designed to provide superb corporate image, high security and excellent value through multiple re-use. Fortress™ Panels are heavy duty profiled steel sheets within a fully framed panel. Size: 2.4m x 2.5m. Galvanised or powder coated colour finish. 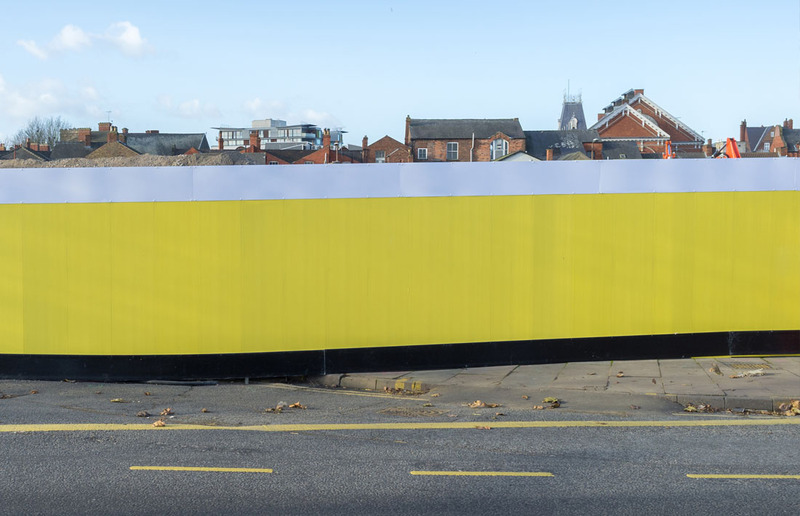 Our wide spanning innovative range of External Site Hoarding is developed at our manufacturing facility in Knowsley. 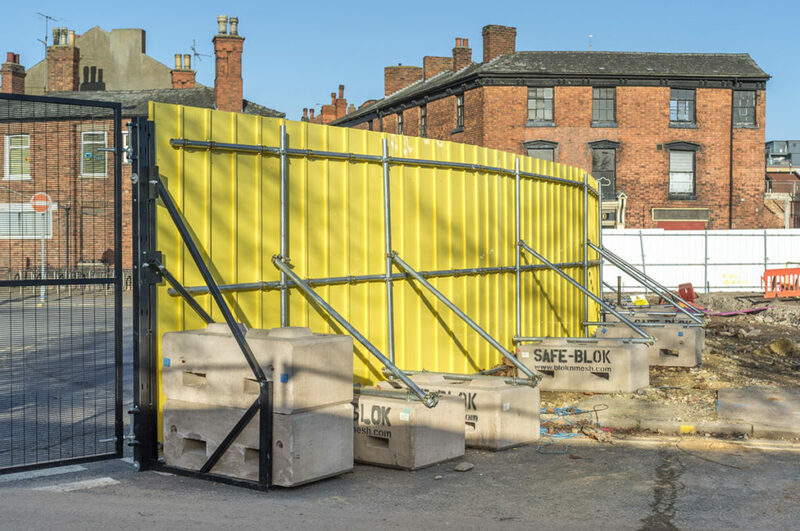 Utilising a blend of traditional and innovative materials we manufacture a hoarding system to suit every possible in-ground and no-dig eventuality for external applications available for hire and sale. Our selection of External Site Hoarding is distributed across the UK via our strategically placed depots. The entire range is fully customisable by our in-house powder coating and customisation facility enabling you to protect your project, whilst branding it with your company colours and signage. Bespoke manufacture is also available, so if our range doesn’t provide exactly what you require please contact us and we will certainly be able to meet your specific needs. Interested in our external hoarding systems?